I didn’t have time to get anything AND make it to Chop’t in time to get my salad for the plane. It was like Sophie’s Choice Gluten Free Meals Edition. So I noted what stood out and went on my merry way. 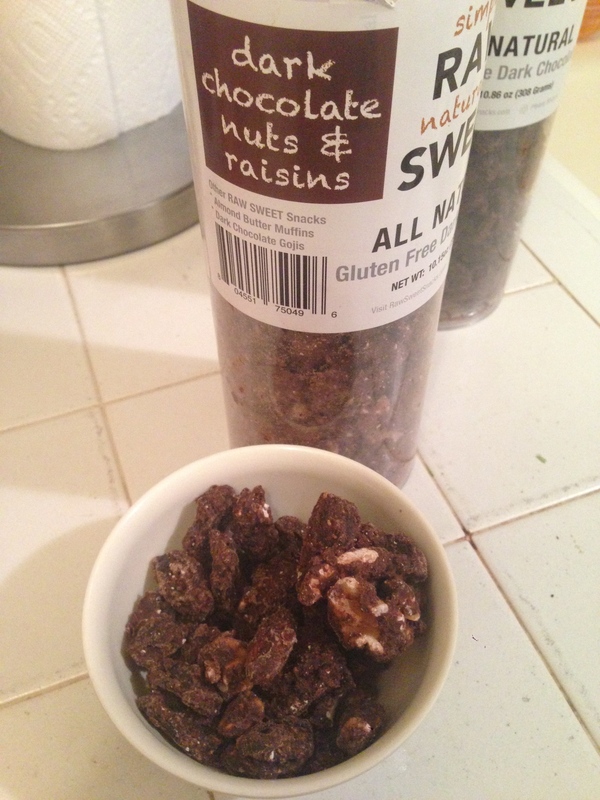 I emailed the lovely founders of one of the companies I saw- Raw Sweet Snacks and they so sweetly offered to mail me some products.. and when these showed up at my doorstep, I felt like I was Britney Spears winning my first VMA. 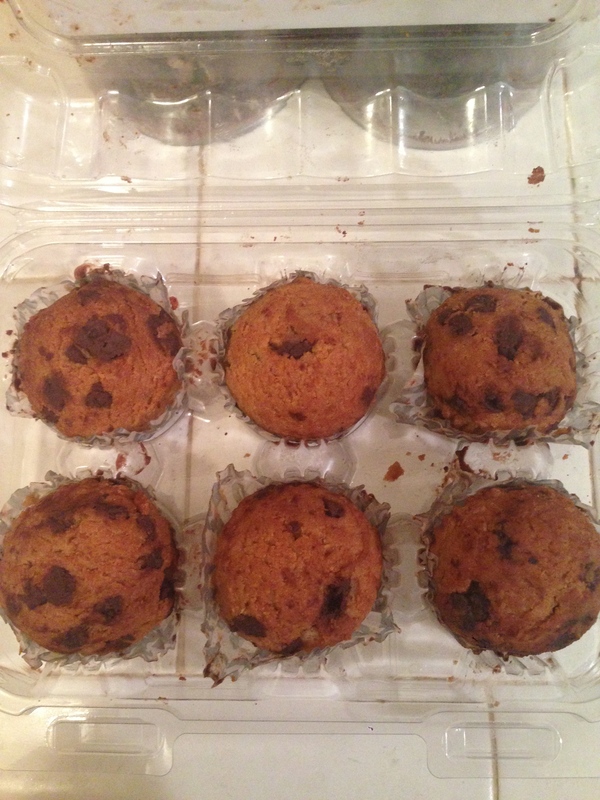 More like Allgone Butter Muffins… luckily I snapped some photos first. 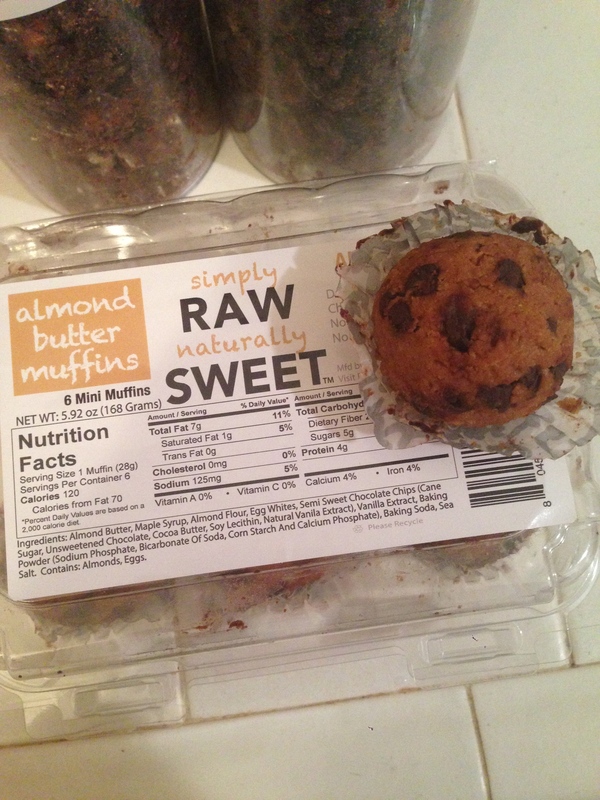 At 120 calories per muffin this is the perfect afternoon sweet treat that is satisfyingly delish. Obviously I would imagine pairing mine with a cup of coffee but then again, I basically feel that anything goes well with a cup of coffee. They are the perfect combination of cake and chewy and did I say delcisou? because they are. 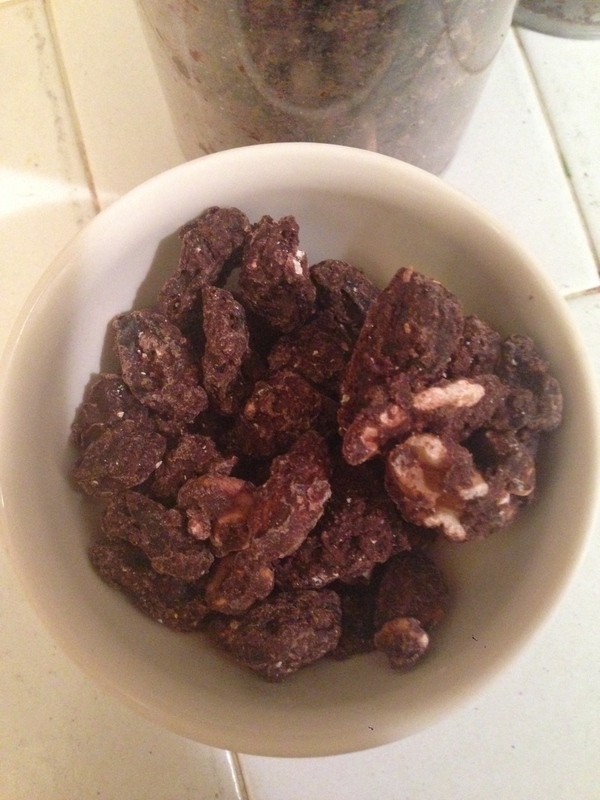 What could be better about chocolate covered nuts that isn’t already out there? That’s what I thought too until I got these in the mail. 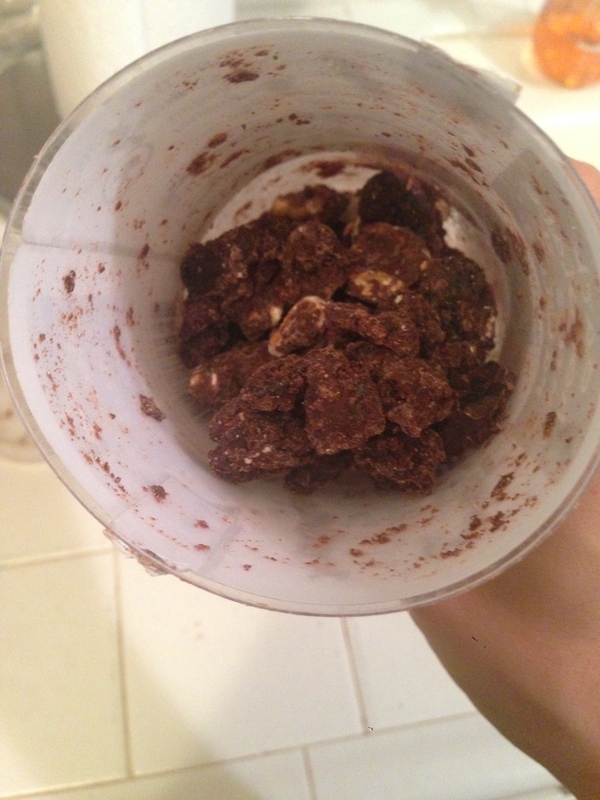 if you will notice, about 1/4 (okay maybe a little more than 1/4) is gone… because I started eating them earlier this week and finally thought I better take pics before they are all gone. 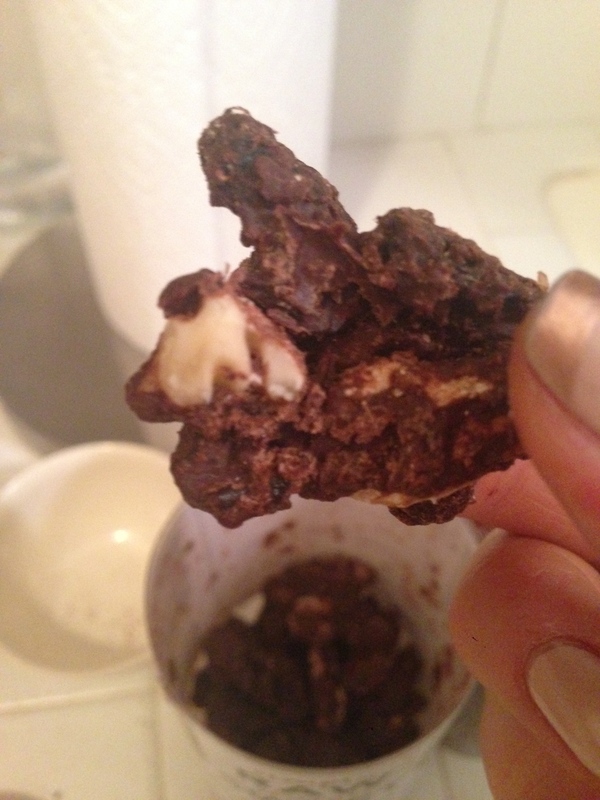 They have the perfect salty/sweet/crunch ratio of any chocolate covered nut I’ve had! 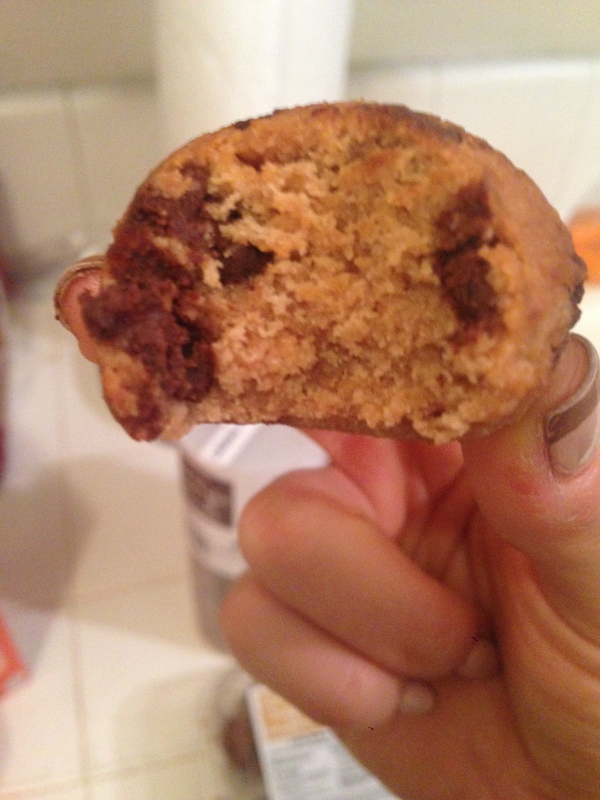 While I haven’t had a minute to make these yet (coming to a blog near you (this blog) soon!) 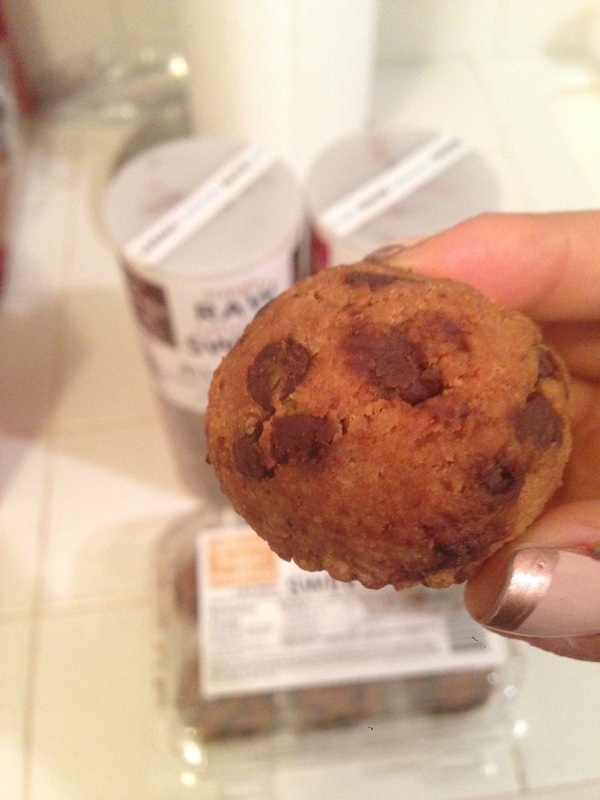 I was SO excited to find out about Primal Bakeshop right here in Cali which makes all kinds of Paleo breads and just released a whole bunch of mixes for muffins and cookies too! 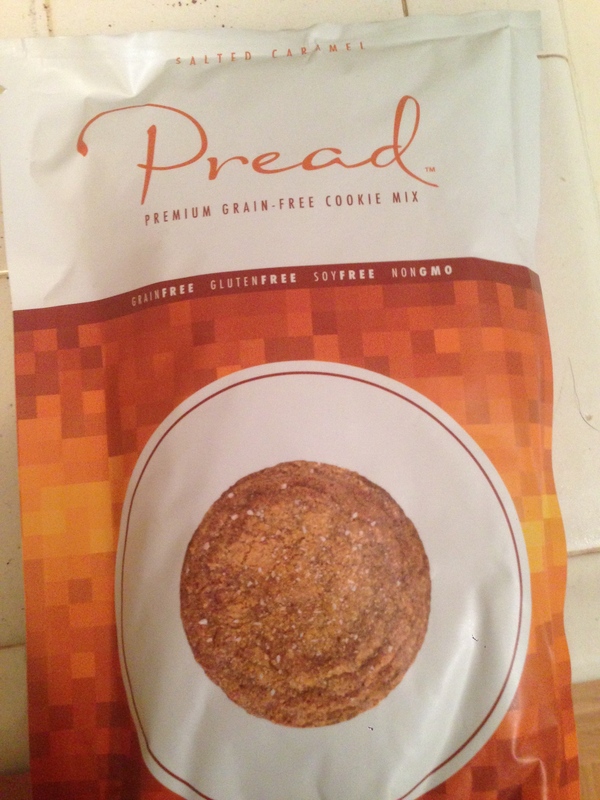 They so sweetly sent me these two to try so stay tuned because I think it’s going to be a yum fest up in my apartment. 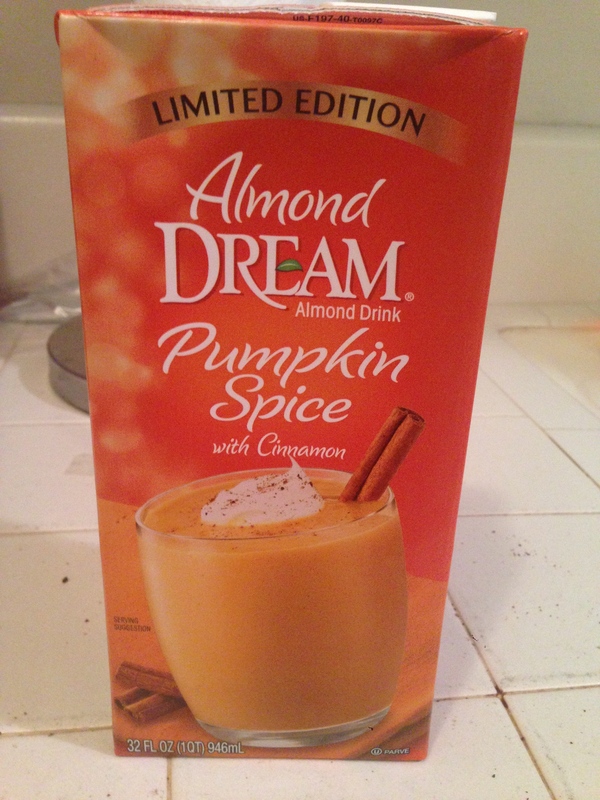 And Lastly… Limited Edition Almond Dream Pumpkin Spice with Cinnamon drink! I saw this the other day when I was heading out the door of Whole Foods. Still half asleep with my giant coffee in hand… and I just had to get it. I used to love pumpkin spice lattes from starbs- I’d look forward to its release every July! (because what says JULY like a hot pumpkin beverage?!) And sure, I could make my own pumpkin drink but sometimes (every morning, ever) that just takes too much time and requires a few minutes less sleep– uh yeah, no thanks. 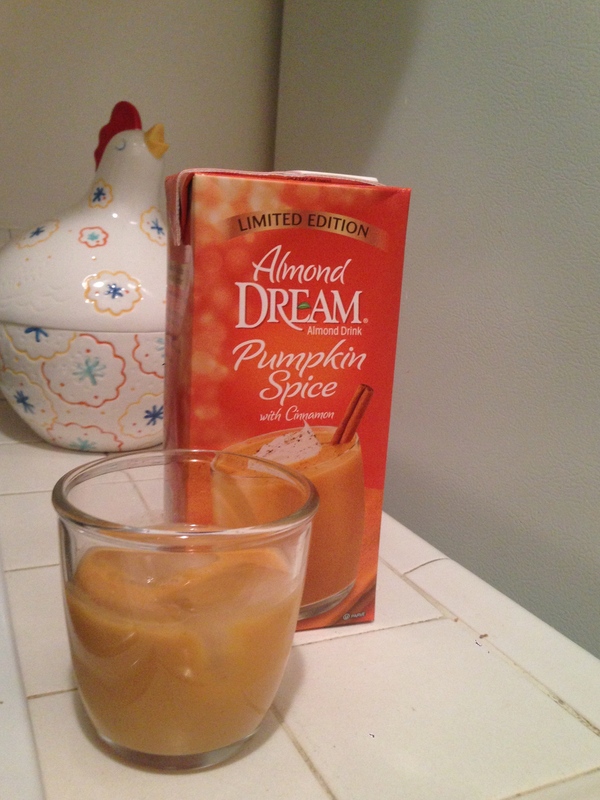 But this Almond Dream drink gives you the pumpkin taste without all the dairy, and without the crazy sugar overload. This does have sugar (8g per serving) and for me it was good on its own but still a bit too sweet… but once I added coffee it was perfection (because really adding coffee to anything makes it better) so I love having this option to add just a pumpkiny splash to my coffee! Any good finds you have this week to share?! 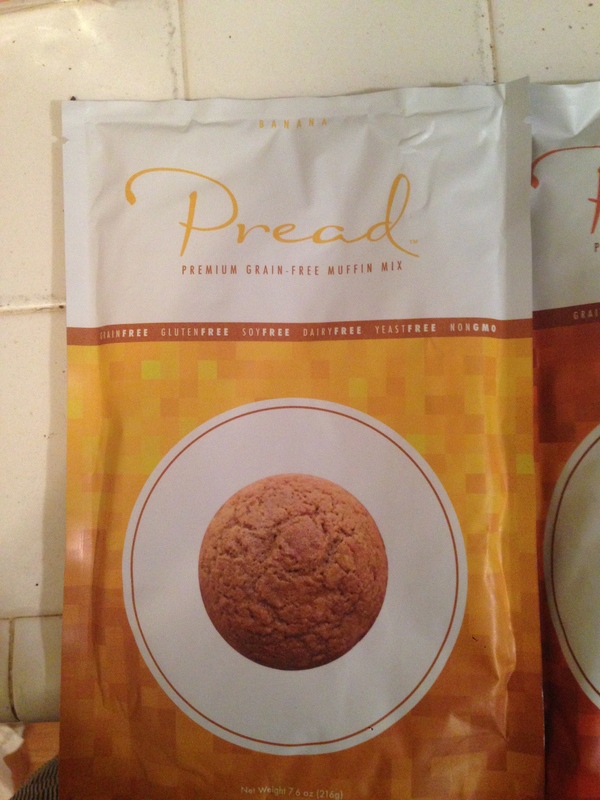 Made It Monday: Prest-O Change-O… When Your Cauliflower Becomes A Pizza Crust!